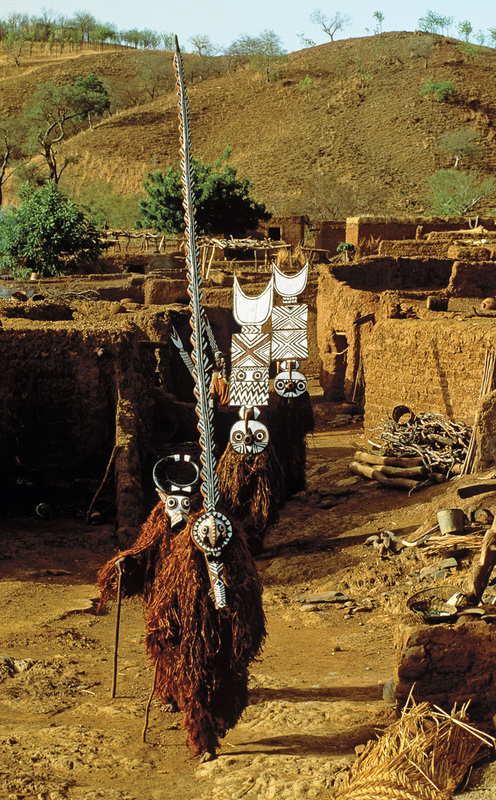 The sun is not yet fully risen and the village paths are still deserted when a line of masks proceeds to the ceremonial square. Led by the serpent mask and followed by the buffalo and two owl plank masks, these Do society maskers wear voluminous hibiscus-fiber costumes. They are an artful synthesis of the human and natural and are thus the perfect conciliators in all spiritual matters.